Mevlana Rumi Mosque is a mosque and community centre located in Edmonton Green, North London since 2006. 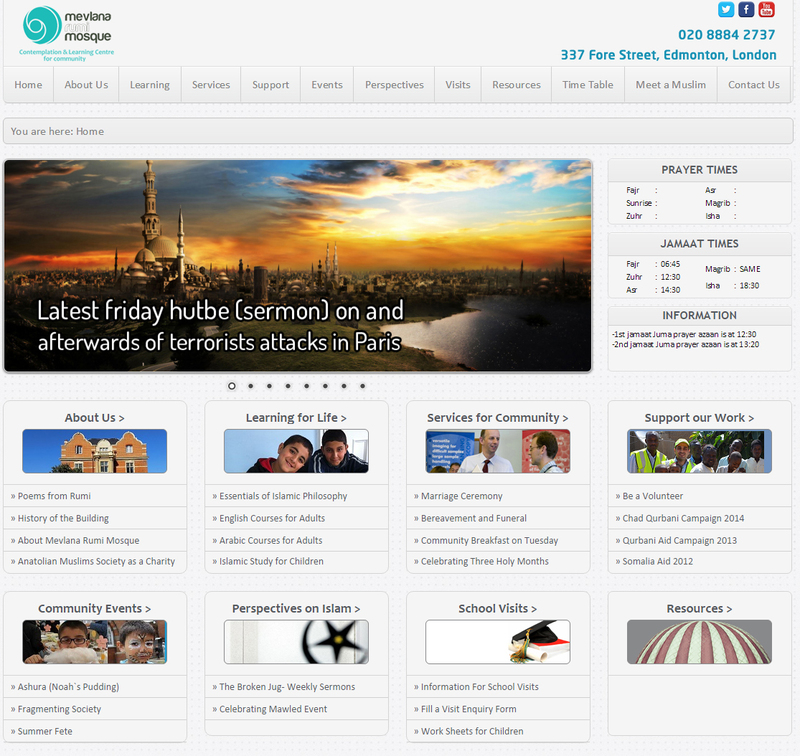 It was founded by Anatolian Muslims Society, a registered charity since 2004. The mosque takes its name after the famous 13th century Islamic theologian, Mevlana Jalaleddin Rumi who emphasised the essential Islamic teachings of love, charity, care and commitment to others and an emphatic acceptance of diversity. As a petite mosque we aim to provide a loving, peaceful and welcoming atmosphere for Muslims and non-Muslims alike, with a particular emphasis on adolescents and young adults. We aim to proactively engage with all communities in, and all issues that relates to our neighbourhood. In the time of our Prophet, the mosque was a place where the community convened not just for prayer but also for meetings, learning, charity and to share happy occasions. We aim to replicate that atmosphere through interfaith community events, courses, fun activities and plenty of food and good conversation. We are a small mosque but with a big heart. How else could it be, when our mosque is named after Rumi who said, "come come whoever you are", and inspired by Fethullah Gulen who said, "let there be no troubled soul to whom you do not offer a hand." Accordingly, we believe in a confident, caring, compassionate, reflective and reflexive form of religious belief and practice.